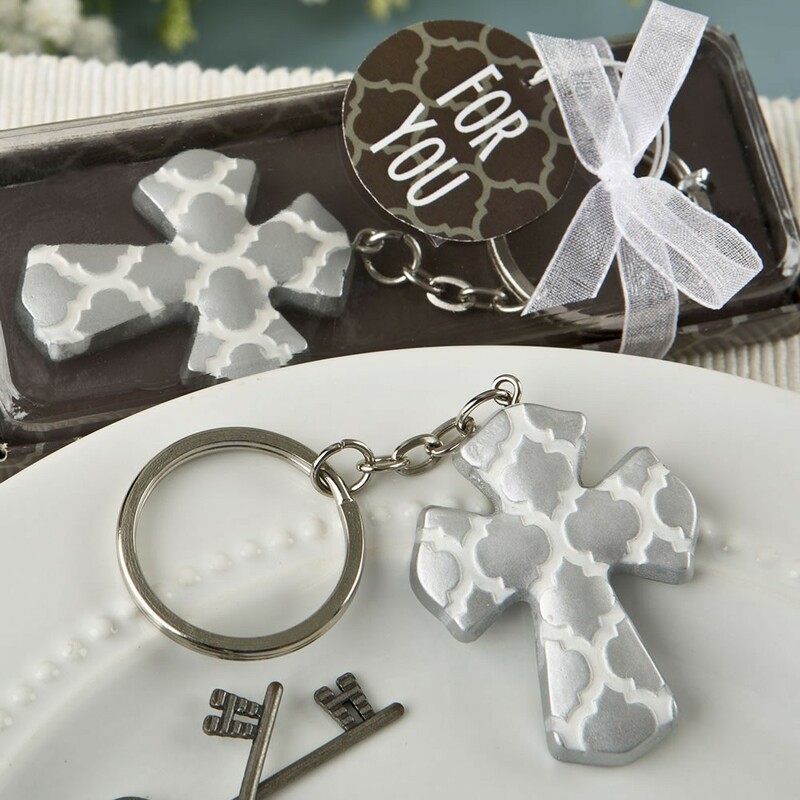 These exquisite Cross keychains make meaningful favors for Baptisms, Christenings, Communions and is a wonderful testament to your religious faith. Use them to uplift your event tables and thrill your guests. The Cross is crafted out of poly resin and features a lovely Hampton link design. It is lovingly hand painted in a rich matte silver. 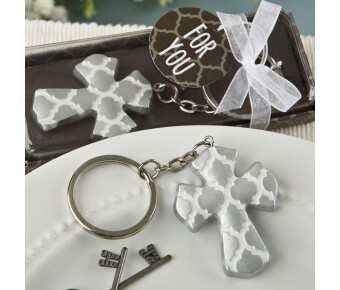 The Cross charm is attached to a silver metal key chain and key ring and comes packaged in a gift box tied with a white organza ribbon wrap and bow. Offer your friends and loved ones a meaningful gift to celebrate this spiritual time shared together on your special day. Cross charm size is 1 3/4" x 1 1/4"
With chain is 4 " x 1 1/4"